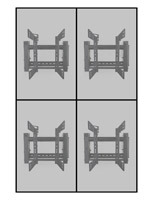 Featuring a robust steel construction, universal compatibility and anti-theft security, this 3x3 portrait mount modular video wall system is a great choice for any commercial setting! 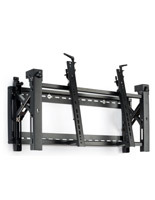 Each of the nine included brackets can support a 45”-70” flat panel TV up to 154 lbs. 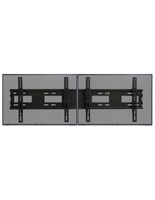 The steel portrait mount modular video wall system includes lateral shift and micro-adjustment knobs for hassle-free assembly and servicing of the matrix. 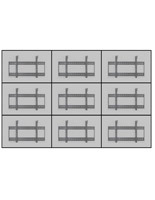 Pair each bracket with padlocks (not included) for anti-theft security. Maintaining the matrix is simple due to a push-to-pop out feature and a kickstand. 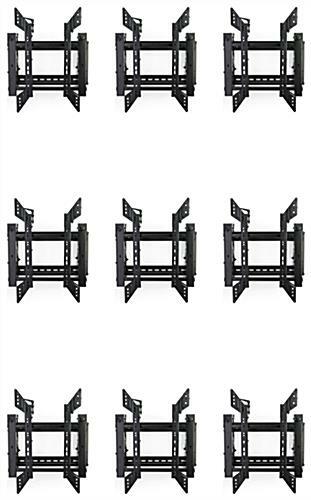 Complete with lateral shift and micro-adjustment knobs, this robust universal modular video wall system is easy to assemble and maintain, making it an excellent choice! 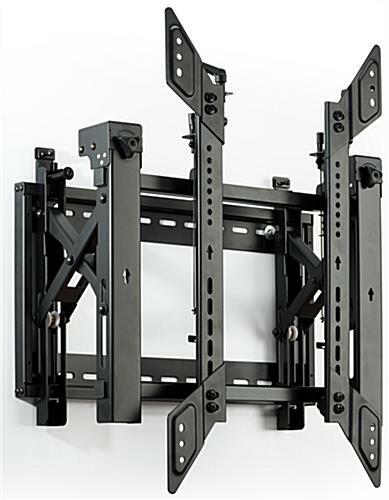 This feature allows you to pull the TV away from the wall for easy installation, cable management and for servicing the TVs. Micro-adjustment is available via allen key and knobs. 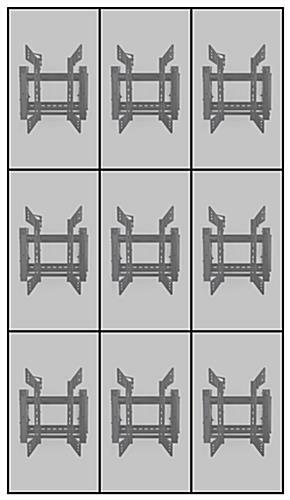 It enables easy tilting to assist in absolute leveling. 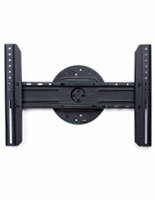 A kickstand provides a small degree of tilt for cable management and maintenance. 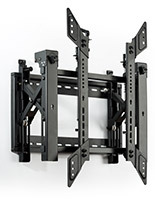 This allows you to slide the mounted TV to the left and right. 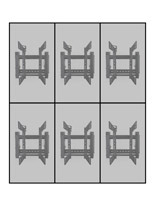 This simplifies installation and helps prevent one screen from colliding with a neighboring screen. Depth Range Min. x Max. WARNING: This product can expose you to Nickel Compounds, which is known to the State of California to cause Cancer. For more information go to www.p65warnings.ca.gov.